In 2001, she decided to take control of her own life and the many changes within it. Determined to pursue her dreams, she ran into Craig A. King at a local restaurant – a talented producer who has worked with Ray Charles, Quincy Jones, Kanye West, Aaliyah, Will Smith, and more. Only moments into their encounter, Craig decided to take Asiahn under his wing. With the help of James “Choirboi” Bennett (personal A&R and best friend to Ludacris) they began to groom Asiahn in the ethics of songwriting, composition, and performing. After a few years, touring, opening for some of the biggest acts in the game including Ludacris, Kanye West, TI, Young Joc, Life Jennings and many more the trio began to plateau and then halt all together. Asiahn knew it was time to stand on her own two feet and take on the music industry solo. From years of writing for herself, she began to write songs for other artist. With no time at all Asiahn under the writing moniker “Asia Bryant” has placed records with Iconic Artist like Dr. Dre, Akon, Jennifer Lopez, Pitbull, Drake, Miley Cyrus, Lil Wayne, The Game and so many more. Writing with some of the biggest producers in the game including Quincy Jones and Co-writing with the likes of Chris Brown, Sam Hook, Dj Mustard, Mike Will Made It, and Rock City, Asia has quickly made great buzz and name for herself. In March of 2014, Asia signed to Rondor/Universal Music Publishing Group as a songwriter, all awhile gearing up to release a project all her own that embodies her urban/ alternative/world sound yet still oozes the soul of all of those who have influenced her like Prince, Etta James, Aaliyah, Mariah Carey, Tina Turner, Jimi Hendricks, The Beatles, and Lalah Hathaway. Asiahn was also chosen by Dr. Dre to feature on his new and final album “Compton”. The record “Just Another Day” feat. Asia and The Game was also the only song from the Dr. Dre album to also be premiered in the NWA movie “Straight Outta Compton”. “Asia’s talent and voice is amazing! She is the future” - Dr. DRE. With these type of co signs Asiahn is well on her way to creating a Musical Journey to be remembered. Most recently Asiahn came out of the writing shadows to release her first solo EP entitled Love Train. 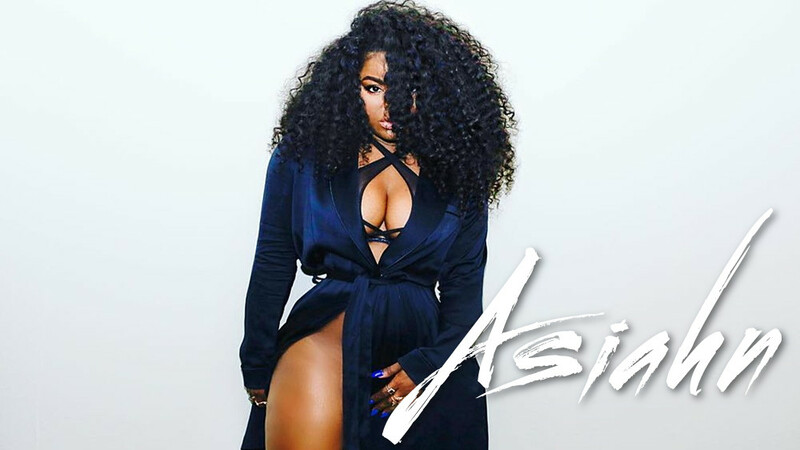 It immediately began to spread and gain her notoriety, new fans, and also show the world that Asiahns place as an artist stands and is a force to be reckoned with. Read more on Last.fm.